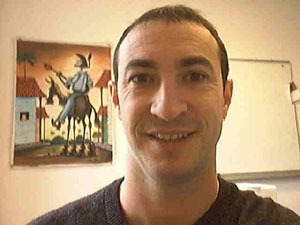 Dr. Philippe Roose is Associate Professor at the IUT of Bayonne and member of the LIUPPA. Philippe Roose is Associate Professor at the IUT of Bayonne and member of the LIUPPA (Laboratoire d’Informatique de l’Université de Paud es des Pays de l’Adour) – France since 2000. He received his PhD in 2000 called “/ELKAR : A Component Based Re-engineering Methodology and Architecture to Provide Cooperation”. He is now working on Sofware Component and Architectures for Distributed Multimedia Applications with QoS management. He is responsible of the French-Spanish project calles “KALINAHIA : a platform for QoS management with distributed multimedia applications enriched semantically. This project regroup the Spanish university of Mondragon and the group ROBOTIKER/Tecnalia. Philippe Roose is currently writing a book on the history of micro-computers. His teaching activities deals with : JAVA, QT, PHP, Flash, System, Network, and POO.